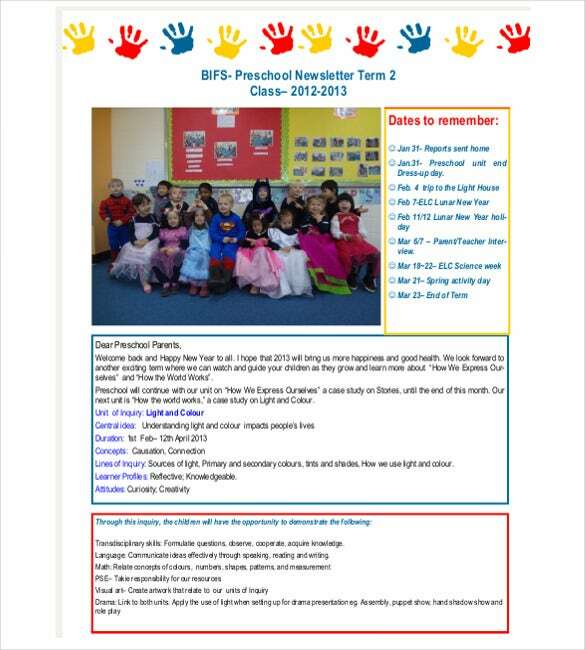 Preschools regularly send newsletters to students’ parents to inform them about the latest happenings in the school. 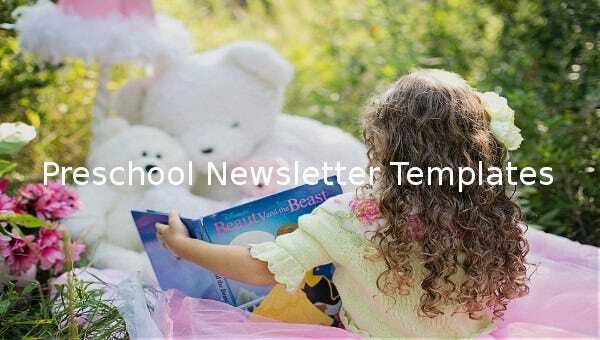 It could be about certain achievement by the institution or an upcoming event to be hosted by the school. 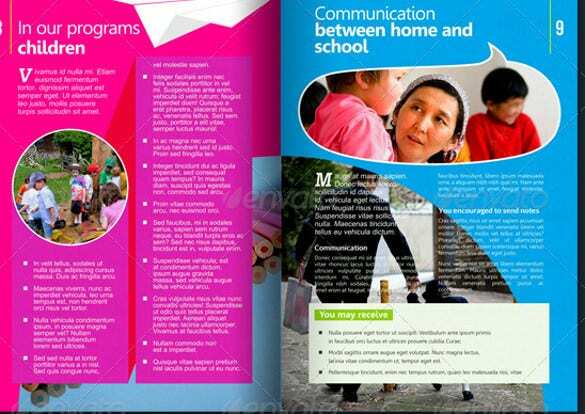 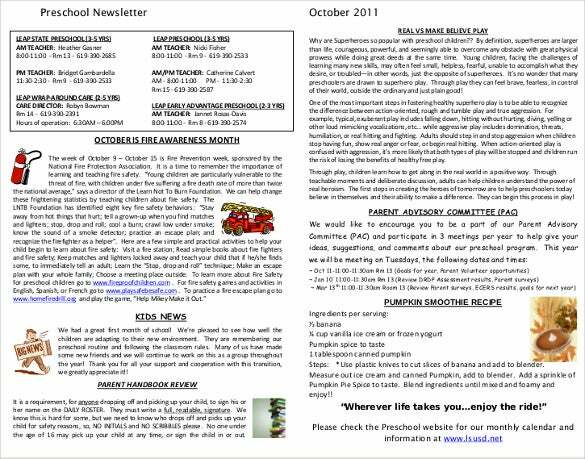 The school newsletters help the parents to stay updated about the different affairs going on in the school. 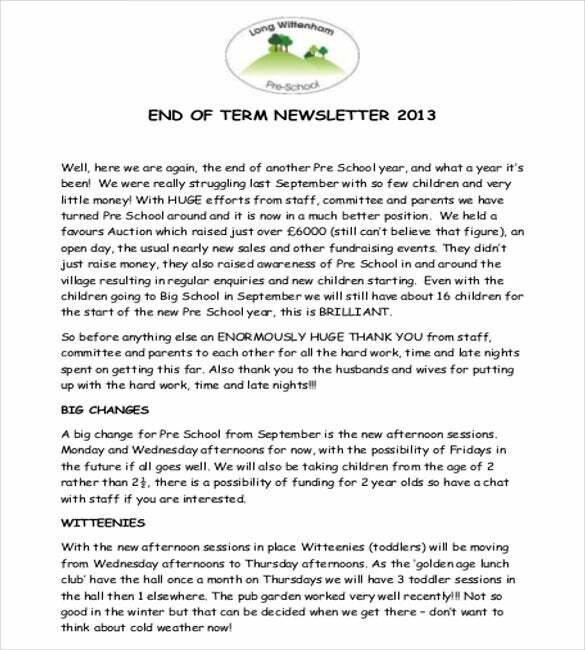 Some of these newsletters are also filled by children where they write about the school affairs to the parents. 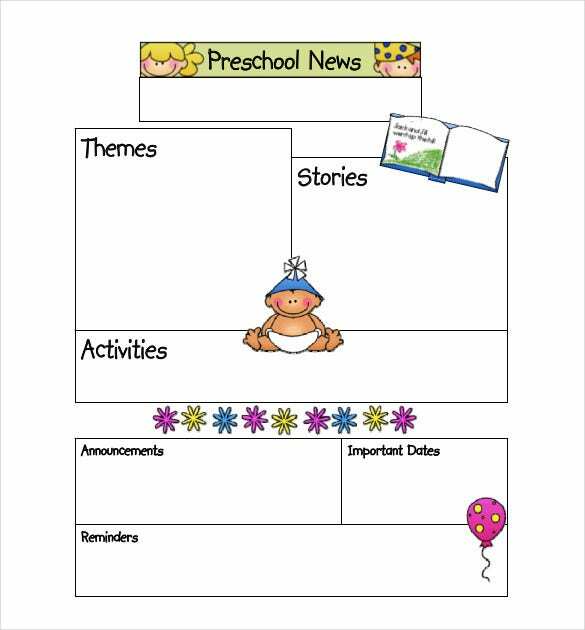 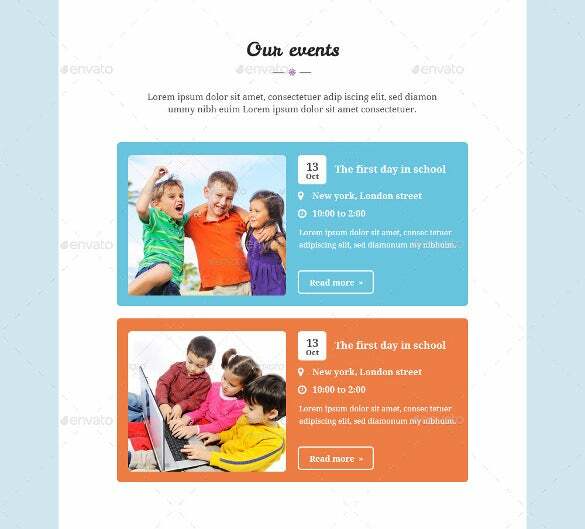 The preschool newsletter templates PDF are usually cute with funny animal or cartoon illustrations in tune with the kiddo mood of a preschool. 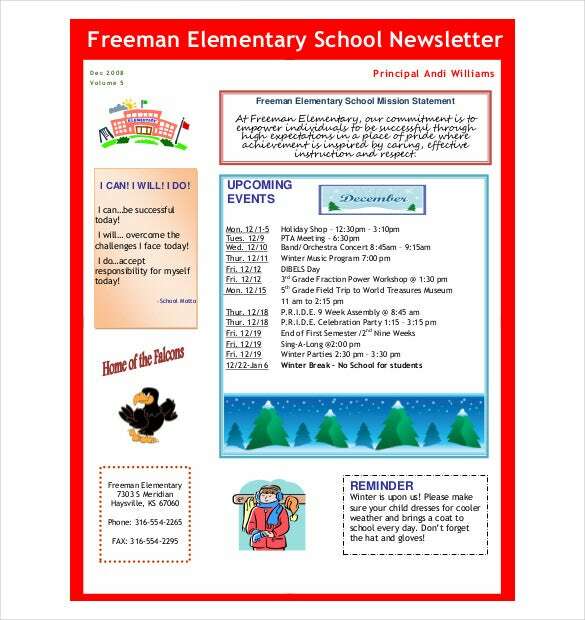 However, some of these newsletter template are pretty formal and will allow to include multiple news articles about the school.